Today, Microsoft announced additional preview options in S4B Online. One of which is number portability. 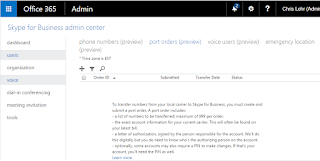 This is a huge step towards adoption - we can now tell customers we can port existing PSTN numbers to the Microsoft cloud. 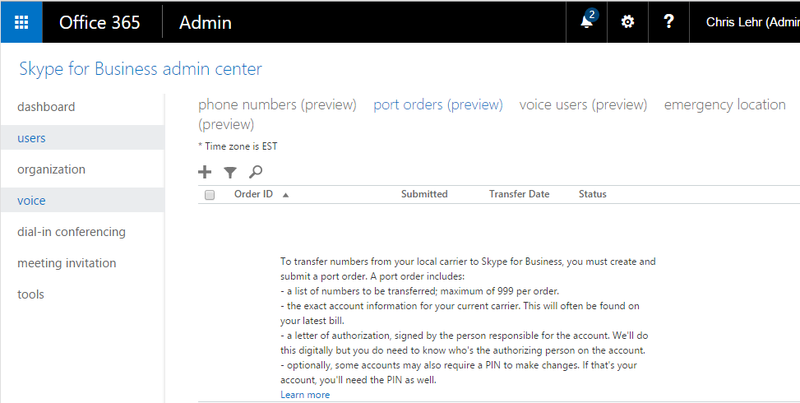 Click on Voice, then "Port Orders (preview)"
Note the text - you will need a list of numbers, 999 maximum per order, your account info, your letter of authorization, and a PIN if applicable. - Please remove any features (i.e. 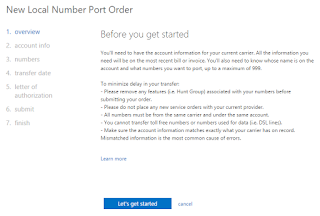 Hunt Group) associated with your numbers before submitting your order. - Please do not place any new service orders with your current provider. - All numbers must be from the same carrier and under the same account. - You cannot transfer toll free numbers or numbers used for data (i.e. DSL lines). 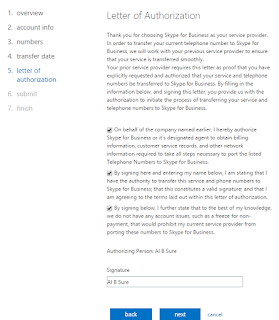 - Make sure the account information matches exactly what your carrier has on record. Mismatched information is the most common cause of errors. Enter your phone numbers, one per line - these need to be in E164 format! Select your transfer date. Not sure if they will really get it done in 5 days, but that's was the choice I made. I will be working on porting some numbers for real sometime very soon, but wanted to get this post up to show how it's done. I will update this post as we gain more experience. 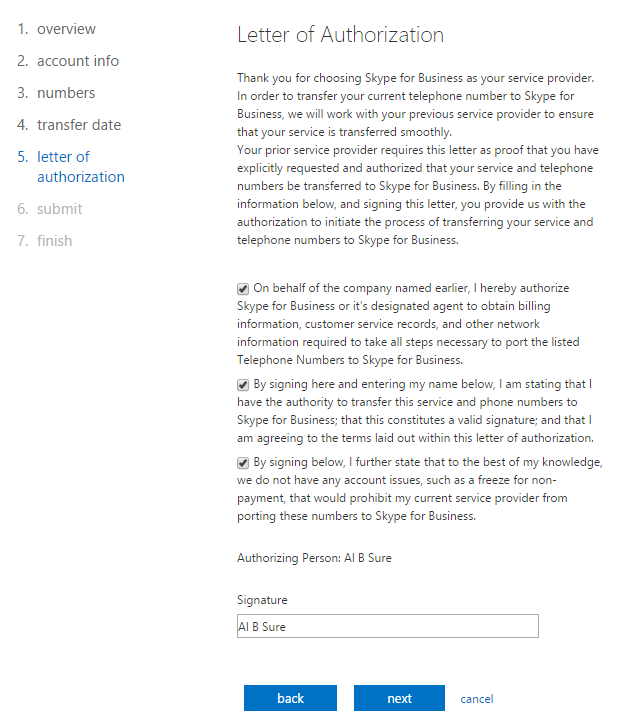 What phone service providers are supported for number porting? What if my phone carrier isn't listed here? What to do after you port your phone numbers? 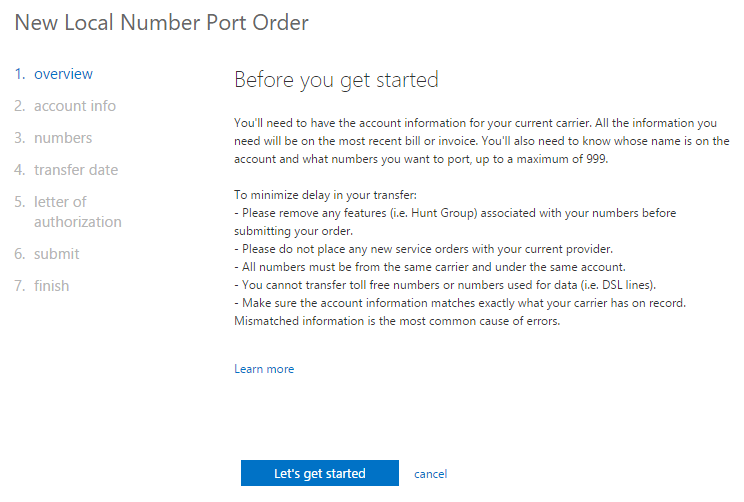 What's the status of my port orders? How should I enter the phone numbers?